Lentils are edible seeds that belong to the legume family. Lentils with a high protein content are considered a cheap source of protein and are often used as a meat substitute. They have significantly less fat than meat, which makes them a great protein choice for a healthy heart! To cook lentils, pick through them to remove any debris, rinse and add to a pot with water, season. Bring to a boil, then reduce the heat and simmer until tender and no longer crunchy. Once cooked, lentils can be stored in the fridge and used for salads, veggie bowls, soups, they can be roasted and eaten as a snack. 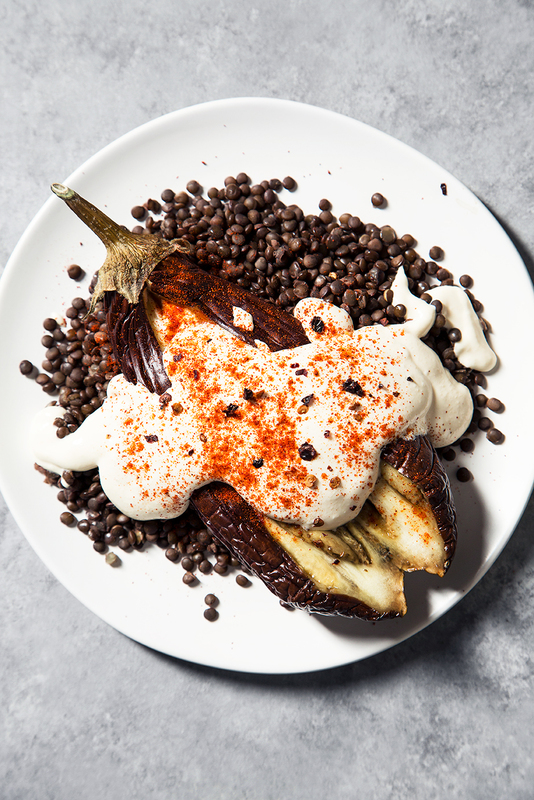 The simplest way to cook eggplant is to bake it whole: its skin protects it from drying out and its water content will steam it from the inside into a creamy and velvety read-to-eat treat. This dish is really just good ingredients brought together by a tasty sauce into a complete meal. 1. Wash and dry eggplant. Place it on a foil covered baking sheet and roast at 365F until very tender for about 45 minutes. Remove from the oven, cut in half. 2. Make the sauce: in a small bowl, whisk together yogurt, tahini, lemon juice, garlic. Season with salt and pepper. Add more tahini if you'd like. 3. 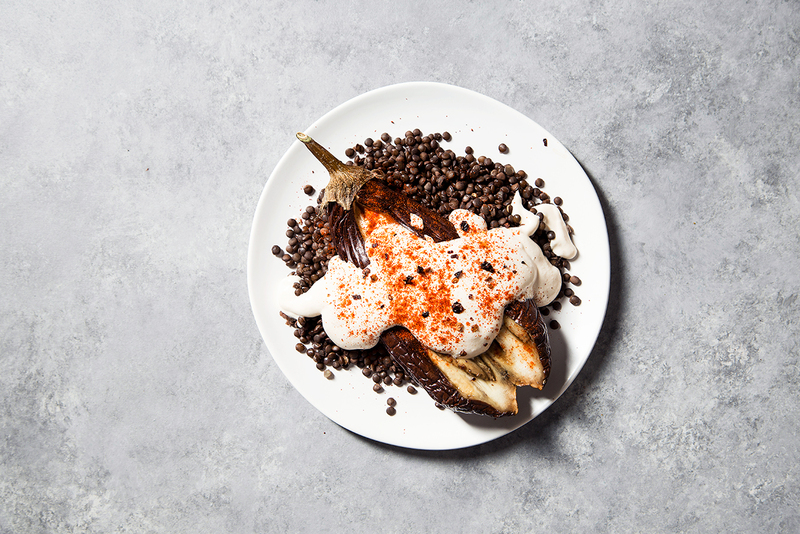 To serve, add cooked lentils to a plate, top with eggplant and sauce. Optional: sprinkle with hot pepper and/or pepper flakes. will DEFINITELY be trying this out soon!